I’ve been living in Mexico now for almost three years, and I’ve heard a lot about Tijuana. Some of the things I’ve heard have been absolutely amazing and other things perhaps not so good. 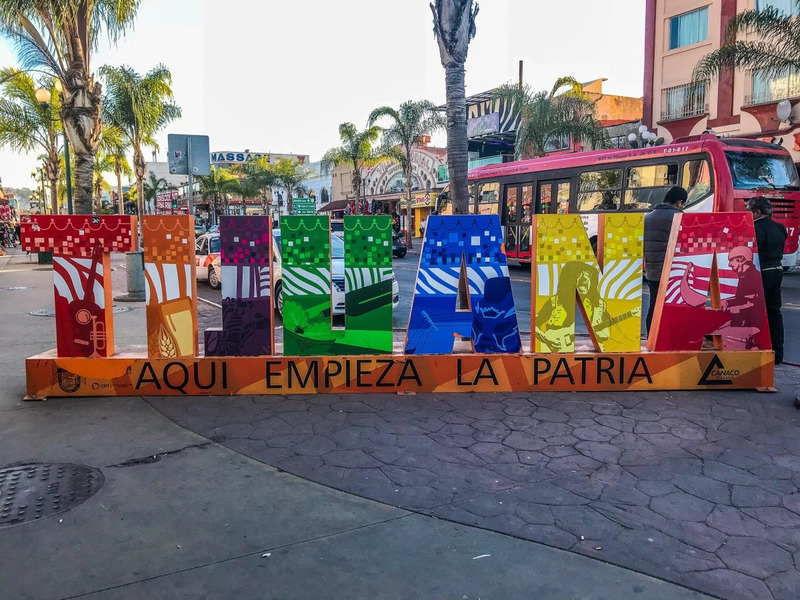 Over the Christmas holidays, I decided to see for myself whether or not Tijuana is safe and if its even worth adding to your Mexico bucket list. I think it’s important to preface that I’ve traveled around Mexico a lot in the last three years. I’ve been living in Mexico City, which in itself is a large city with a reputation many still question (here’s my article about safety in Mexico City). Tijuana in many ways resembles a lot of other places in Mexico. However, if Tijuana is the first place you’ve ever visited in Mexico, you may think that the run-down look means danger. It doesn’t (for the most part, anyway). 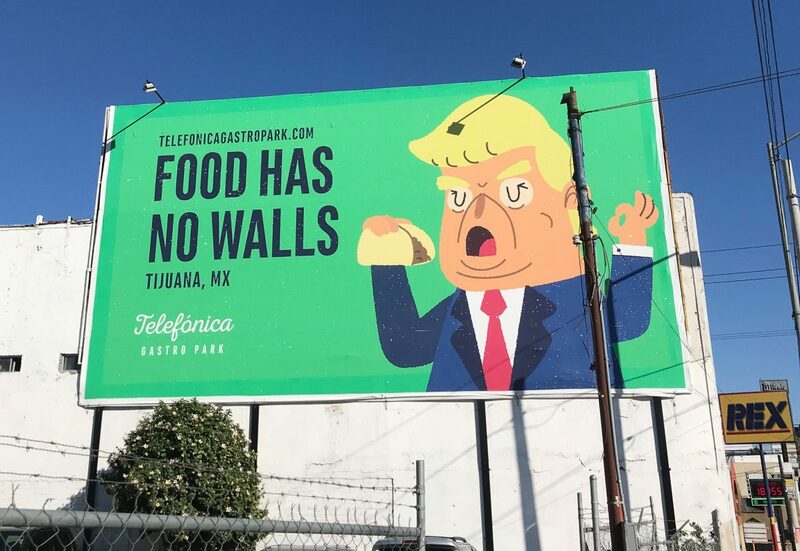 I didn’t know a ton about Tijuana before I went. Most of what I knew about Tijuana before moving to Mexico came from episodes of The O.C. I read a few articles around the internet about things to do and places to eat, but mostly my desire to come to Tijuana stems from Anthony Bourdain’s No Reservations episode where he went to Tijuana and Ensenada. That was filmed almost a decade ago, but it always stuck with me and made me think that maybe Tijuana wasn’t so bad after all. The final straw that really made me want to go to Tijuana was an Instagram story from C’est Christine – a travel and lifestyle blogger who lives in San Diego. She made a quick day trip across the border to sample lots of craft beer. 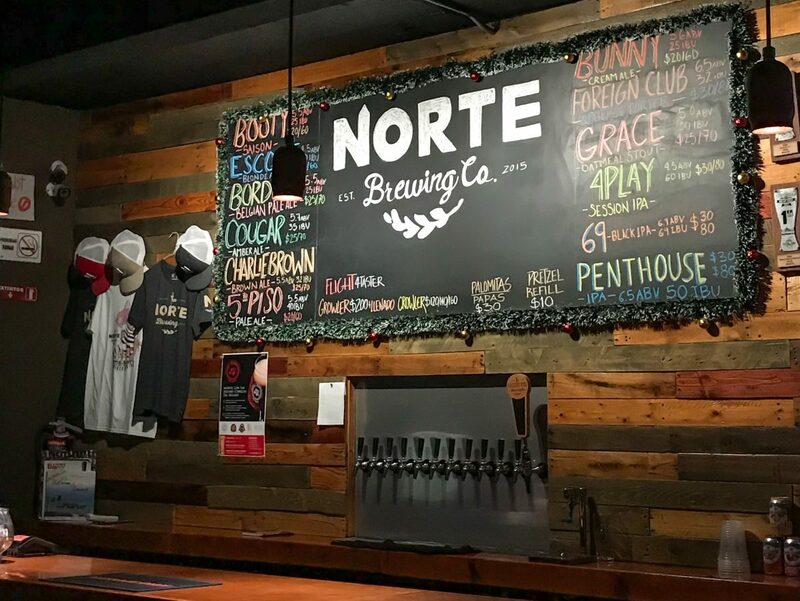 If other bloggers were venturing to Tijuana and not just liking it, but loving it (and all the craft beer on offer), then I had to check it out for myself. 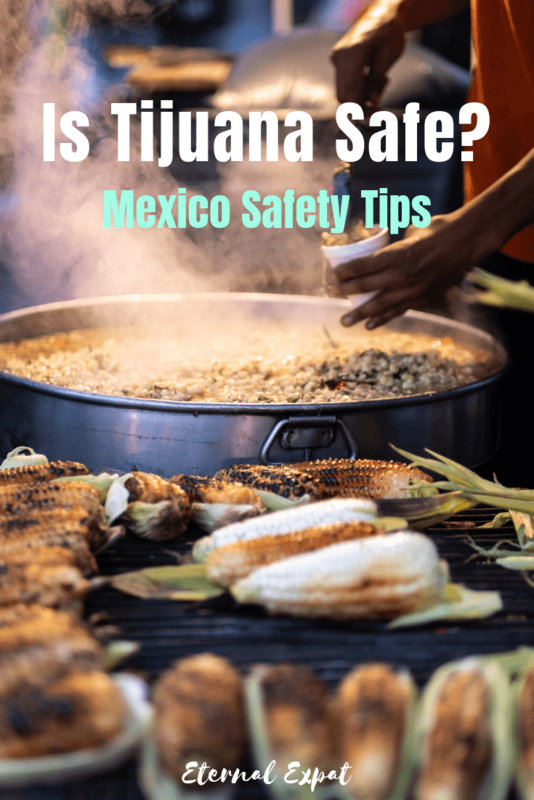 I wasn’t particularly scared or worried about safety in Tijuana if I’m being totally honest. 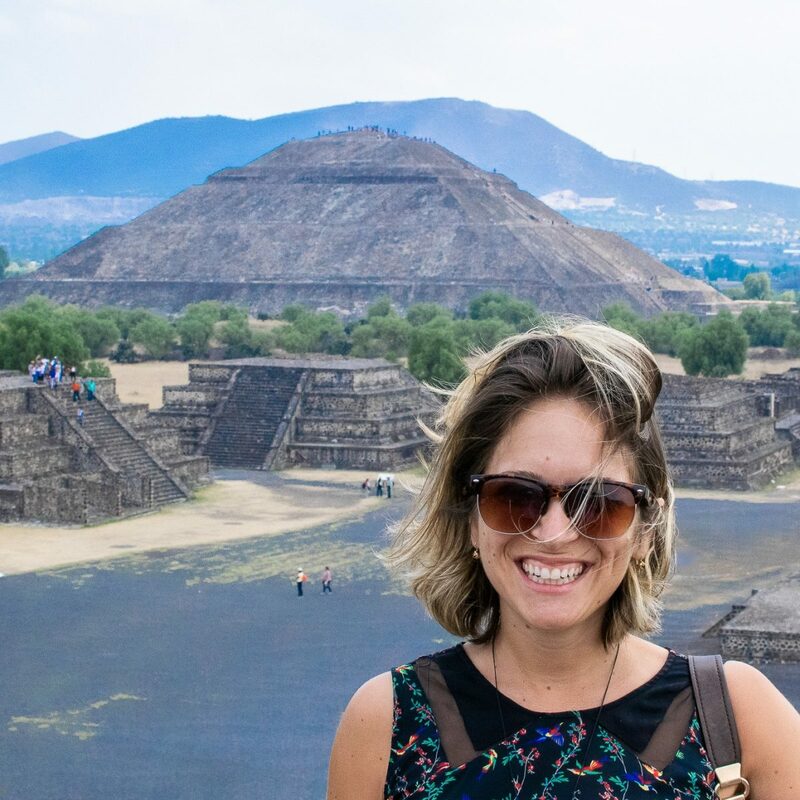 Most people thought I was crazy when I moved to Mexico City in 2016, and all of the claims that were made about that city were made by people who have never even been there. So I figured Tijuana was likely the same. 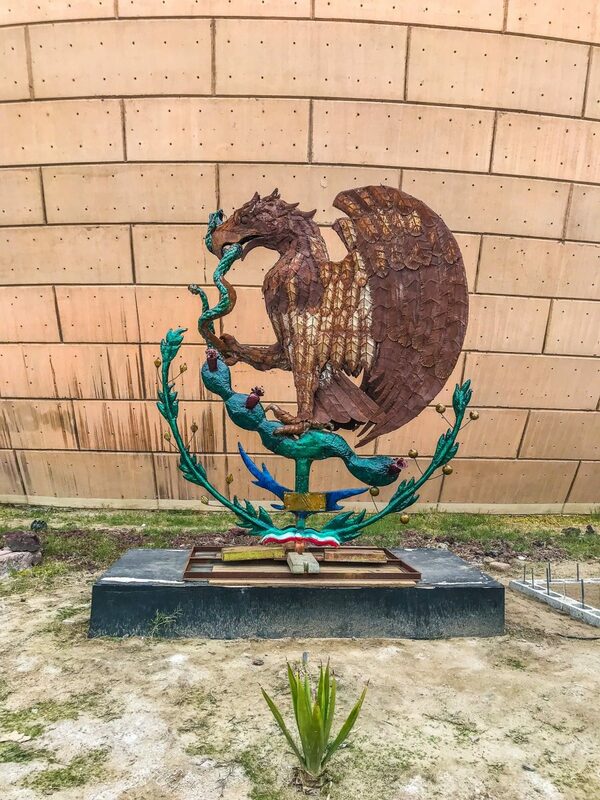 The cultural museum in Tijuana is perfectly safe and very beautiful! Tijuana looks like a lot of border towns around the world (you may know what I mean if you’ve ever crossed the border into Canada from Detroit or in upstate New York or even elsewhere in parts of Asia). It’s a little run down. It’s a little dirty. I talked a big game above about not being nervous about the safety in Tijuana. When we got there, however, we couldn’t help but look at things with a slightly different eye than we do in other parts of Mexico. We questioned people a little bit more than we usually do and we took extra precautions like using Uber to get around rather than walking between places that were more than 15 minutes away by foot. That being said, Tijuana looks a lot like many other cities in Mexico. There are parts of downtown Mexico City, Guadalajara, Merida, and certainly Cancun, that look a lot like the area around Avenida Revolucion (Tijuana’s main street). What I noticed more than anything was that a ton of people spoke English, almost everywhere accepted dollars and Pesos, and a lot of signs were in English first and Spanish second. There are also amazing tacos, craft beer bars on every corner, and a lot of hipsters. Beneath the gritty surface of Tijuana is a really cool foodie scene that I absolutely adored. The other thing that really stood out to me was how many dentists, doctors, and pharmacies are advertising around the city. There are so many pharmacies selling discounted prescription drugs to Americans who cross the border to save money. If you are going to stay the night in Tijuana, I recommend staying on or around Avenida Revolucion. This is where all the people are, this is where all the taco stands and craft beer bars are, this is where it’s very well lit, this is where you’ll be able to walk to most places without any issue. We stayed in an Airbnb about a 5-minute walk from Avenida Revolucion. It was very reasonably priced at under $40 USD per night with two bedrooms, a kitchen, Wi-Fi and everything else you could need in an apartment rental. There are plenty of these available around the center of Tijuana. I have no experience staying near Playa Tijuana. I read bad reviews of the area after dark, so we decided to stay in the downtown area and just check out the beach during the day. One of the many brewery bars in Tijuana! I can’t speak too much to the US/Tijuana border crossing because I flew into and out of Tijuana via the airport from Mexico City. However, I did visit the border, which is about a 20-minute walk from Avenida Revolucion. It’s perhaps the “least nice” part of Tijuana. It’s also one of the easiest ways to cross the border if you are just coming for a day or two. Tijuana is very easy to get around without a car. You can walk to most places in the downtown area or take very cheap Ubers to places like Telefonica Gastro Park or Playa Tijuana. Note that cross from the US into Mexico takes hardly any time at all, but coming back into the US will mean a solid wait time of about 45 minutes to an hour. It is particularly busy at rush hour times between 5 and 7pm. If you choose to bring your car across the border and drive in Mexico, just know that coming back into the US with a car can take several hours. It’s almost comical to have to write this now knowing what the nightlife scene is in Tijuana. It really is such a fun, lighthearted experience. This is particularly true if you stick to Avenida Revolucion and to the hipster craft beer bars around this area. This is also true of the craft beer area of Plaza Fiesta. The nightlife scene consists mostly of young Mexicans and Americans (by young I mean 25-40) who are out enjoying the good beer on offer. There are a few clubs or cheaper bars along Avenida Revolucion, but even those were mostly people of the same age. I didn’t see any trouble in the three nights that we spent in Tijuana. Of course, that doesn’t mean it doesn’t exist. Like in any city after dark, only take what you need out with you. I brought a credit card, about 500 Pesos of cash, and my phone in a cross body bag that has a zipper closure and flap over the top. I used Ubers to get everywhere after dark so that I wasn’t walking anywhere for more than 5 or 10 minutes. 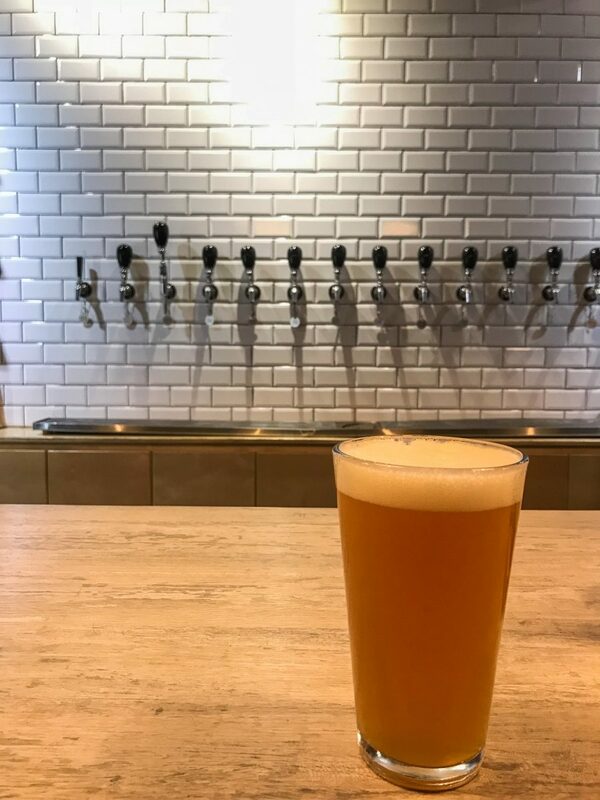 All of the craft beer bars along Avenida Revolucion are great after dark – busy and fun and they all serve up delicious and cheap craft beer! If you aren’t bringing your own car to Tijuana, the best, fastest, and safest way to get around Tijuana is Uber. I use Uber everywhere in Mexico and I think it is a fantastic service. It’s great if you don’t speak much Spanish, you don’t have to carry cash to pay for it, and I have never had a problem anywhere. Drivers are polite and courteous. I hope it goes without saying that involving yourself in any way with drugs in Tijuana is a very bad idea. That is a surefire way to turn a fun weekend in Tijuana into a very dangerous weekend that could very much ruin your life. There are people along Avenida Revolucion at night who may offer you Marijuana, Cocaine, or other drugs. Please say no. Other than that, it’s really just common safety tips that you might use in any city around the world. I still wore my favorite earrings and dressed exactly how I would dress everywhere else in Mexico. During the day, in particular, I felt completely safe. We walked from Avenida Revolucion all the way to Telefonica Gastro Park and I was never concerned about my safety. There are sidewalks everywhere. There are plenty of people around, the center of town is very well lit at night. If in doubt, grab an Uber. Avoid being around the border after dark. Never once did I feel unsafe in Tijuana. Everyone that we encountered in the city was friendly. The craft beer bars look pretty much exactly like other craft beer bars I’ve been to in Mexico and the US, except the beer was even better. In fact, I have discovered a new favorite Mexican craft beer, Border Psycho. I sampled a few of their beers and enjoyed all of them. And now I’ve found a few bars around Mexico City that serve them. Keep an eye out for the Hoptomista IPA, it’s top notch. Yes! Enjoy your trip and all the yummy craft beer! Hi! I just got back from Tijuana a few days ago – my fourth trip in the past year from San Diego. I too have had great experiences and get frustrated at some of the misconceptions. It’s a great city with kind people and plenty to eat and drink! Although the violence has largely stayed separate from tourist areas (and I have felt safe on each visit), I’m keeping an eye on it since the turmoil doesn’t seem to be letting up and things can change quickly. I’m looking forward to taking some time to read your Mexico City posts – I’m very interested in visiting but haven’t been.